This shamrock baby cup is made of fine Irish pewter. 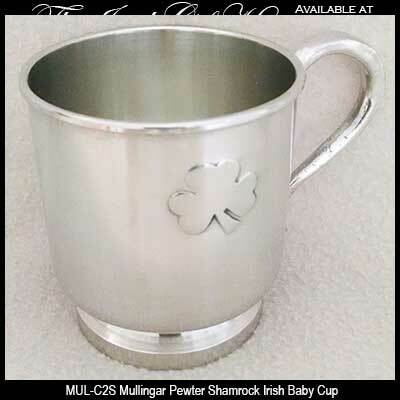 This Irish baby cup features an embossed shamrock on lead free pewter. 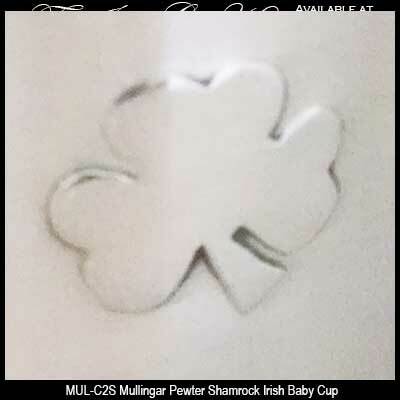 The shamrock baby cup stands 3" tall and it is made in Ireland by Mullingar Pewter. The Irish baby mug is gift boxed with a shamrock history card that is complements of The Irish Gift House.